Beat Wheel Clamps - Fight Wheel Clamping Fine & Wheel Clamping Ticket! It Works EVERY SINGLE TIME And It’s 100% Legal. LEGAL DISCLAIMER: For legal reasons, we cannot advise you to use the techniques explained within our guide unless you are innocent of a clamping offence. We are NOT lawyers. Seek legal guidance if unsure. Have you ever been CAUGHT by a WHEEL CLAMPING AGENTS? You park up for a few moments and head into town. You return to your car – and as you approach the vehicle, your heart SINKS. You see the big, dirty-yellow clamp – and suddenly realize that your five minute trip into town has just cost you somewhere between £120 and £670. Literally, you’re helpless. And if you try playing “tough” with one of these big wheel clamping guys, it won't be long before he calls in his team of clamping thugs for backup. You can’t beat these clamping agents. UNLESS you follow my 100% LEGAL wheel clamping system. Follow my simple instructions and you can get ANY wheel clamping fine refunded in just DAYS... and even have the clampers apologize and pay YOU compensation! So *I* Developed a System to BEAT the CLAMPERS! Allow me to introduce myself. My name is Dan Strauss. For years, I’ve been helping individuals make the most out of the UK driving system. I’m the site manager for UK Driving Secrets, and the man behind the Beat Speeding Ticket templates. I know the law... And I know the LOOPHOLES. Let’s just say that the traffic police hate me. Just last week, one of my little tricks forced the Isle of Man traffic police to issue refunds totalling £3 million. I even made it into the Isle of Man Examiner! But WHEEL CLAMPERS are EVEN WORSE than the police! They’re agents. The industry is almost entirely unregulated and can change ANY FEE they like to release your car. The average fine is £240 – and I often hear of fines all the way up to £670. – then gave it to his daughter to drive! A female chemotherapy patient in Yorkshire suddenly fell ill and rushed to a public toilet – only to find her car clamped on returning, and was forced to pay £100! ... And these are some of the NICER stories. It’s scary. The Government are simply TOO SLOW to make changes. That’s why I have created my OWN SYSTEM for LEGALLY getting absolutely ANY wheel clamping fine refunded within JUST DAYS. Simply follow my three easy steps – and you’ll get your ENTIRE FINE REFUNDED. You won’t have to say a word to the “big hard lads” who clamp your car either. Just use this system from the safety of your own home, and you'll enjoy complete protection. Every single day, I work with the law – and exploit it’s loopholes for my many clients. I charge a small fortune for it, I must add. But my tricks WORK! Two months ago, I parked in an alley way just outside a florist. I was inside literally five minutes. I picked up a big bunch of flowers and returned to my car. And there it was... a BIG, DIRTY-YELLOW CLAMP strangling my wheel. You want to know the really annoying part? As the clamper approached me, I recognized him. I’d actually SMILED at him as I walked out of the alley. So much for being nice! I simply smiled again, and paid the HUGE £320 fine. Why? Because I knew that I’d have the money back within a few days! I visited my girlfriend, and showered her with gifts and flowers. And I was in a great mood. The fine hadn’t affected me at all. No days of panicking about money, or cursing myself for parking in the wrong place. When I returned home, I simply went to my PC and opened a template letter I have stored for my clients. I altered a few details, then clicked PRINT. Two weeks later, I received an ENTIRE REFUND for the whole £320. Many of my clients have also gone on to obtain COMPENSATION from the clampers, simply by sending one additional letter. It’s EASY. Best of all, this works EVERY SINGLE TIME – And it’s 100% LEGAL. You’ve been clamped. Just pay the fine! You’ll NEVER have to deal with the “tough guys.” You’ll NEVER even have to ask for a receipt from the clampers. And you will ALWAYS get your money back, even if you think they’re “rogue traders” (I’ll explain why!). With my system, you’ll be able to play wheel clampers at their own game. Simply print off my template letters – and watch as the clampers begin begging YOU to stop harassing THEM. You’ll have the wheel clampers crumbling to their knees. It Takes Just FIVE MINUTES – And YES, It’s LEGAL! So, are YOU interested in discovering the Beat Wheel Clamps.com secret template? Well, that's not all I'm offering. While researching into the world of wheel clamping, I spoke to my contacts in the industry and had them supply my workshop with the two leading wheel clamp brands. I'm talking about BIG NAMES in the industry. I then had my own team “play around” with them for a while. We found a way of unlocking both of the clamps – EFFORTLESSLY - with just a few light taps of a hammer. No kidding. It’s MUCH EASIER than you’d think. And – added bonus – it’s COMPLETELY LEGAL. Imagine you were in a situation where you absolutely needed to get rid of a wheel clamp, but you simply didn’t have the cash to pay the fine. Using the simple secrets I’ve uncovered, you could have the clamp off in minutes – and be right on your way! I want to share this information with YOU. You’ll NEVER Have to Pay Another Clamping Fine! Would YOU like to discover these EXCLUSIVE WHEEL CLAMPING SECRETS? Imagine sending off a SIMPLE LETTER and having your entire wheel clamping fine refunded within just DAYS. You don’t even have to read the letter. Just edit my template and click PRINT! You’ll NEVER have to deal with wheel clamping thugs. And if you use my other template, you’ll ALSO be able to claim compensation from the clamping company for your inconvenience! In fact, you’ll scare the company SO MUCH, they’ll practically be BEGGING YOU to stop your war dance. TRUST ME. This system works. Both myself and my clients have used it time and time again. I’ve created an entire package explaining how the system works. It’s incredibly easy to follow – and includes the template letters you need, alongside a practical user guide. Once you have your hands on this, you’ll NEVER have to pay another wheel clamping fine again. That’s my guarantee. I absolutely GUARANTEE that you’ll NEVER have to pay another wheel clamping fine, when you follow my simple system! How many other companies are willing to offer a guarantee as SOLID as that? I can. Because this is my job. And I know that this system WORKS. “Here’s EXACTLY What You’ll Receive When You Purchase! So, how much is the knowledge worth to you? Well, imagine that you only get clamped ONE MORE TIME in your entire life. And that cost you the average fine of just £240. It doesn’t take a mathematical genius to figure out that with this watertight system, you’ll have just saved yourself a cool £240 – with absolutely NO effort. And let’s be honest. Are you really ONLY going to get clamped "ONE MORE TIME"? Now is the time to protect YOURSELF and YOUR FAMILY. With this knowledge, you’ll NEVER be squeezed out of another wheel clamping penny. Never pay another wheel clamping fine again. Just send off the template letter and you’re done! Use my bonus templates to claim compensation straight from the clampers. You’ll love this one! It’s so easy to do, too. I’ll show you the leading wheel clamps, and how you can remove them easily and LEGALLY yourself! Follow my system and you’ll never have to pay another wheel clamping fine, EVER! Try it out for a whole ten years. It works. That's my promise! Your copy of the entire system is delivered to you immediately after you’ve paid, via instant download. 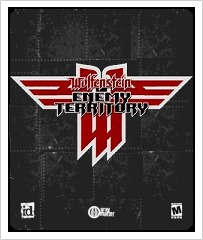 Now that you no longer have to worry about wheel clamping fines, you’ll have plenty of time to sit back and relax – with a FREE COPY of Wolfenstein: Enemy Territory for absolutely EVERY customer! Versions of this amazing 3D multiplayer PC game sell online for up to £39.95 per copy. It’s a great way to relieve your anger at wheel clampers using your PC... And it’s COMPLETELY FREE when you purchase the Beat Wheel Clamps.com system! So, HOW MUCH will the Beat Wheel Clamps system set you back? Our retail price for this entire package is £39.95, the price of “Wolfenstein” alone. NO catches. NO small print. NO wheel clamps. Then click on the FOLLOWING BUTTON IMMEDIATELY and grab YOUR copy of the entire system TODAY. Remember, beating wheel clamps is EASY TO DO. And I want to show you how. The entire package will be instantly downloadable. VAT will be added at 15%. LEGAL DISCLAIMER: For legal purposes, we cannot advise you to use the techniques explained within our guide unless you are innocent of a clamping offence. We are NOT lawyers. Seek legal guidance if unsure. Wheel clampers are out to GET YOU. They’ll immobilize your car without even thinking about it. It doesn’t matter what excuse you have... If you don’t have the cash, you aren’t going ANYWHERE. With this secret system, you can RECLAIM your FREEDOM. You’ll no longer have to be slave to the clamping agent. Simply pay the fine – then GET IT REFUNDED! It’s easy. It’s guaranteed. And it’ll work for you – once you know the SECRET. Dan Strauss, Beat Wheel Clamps.com. PS. Forget the tricks you THINK might work with wheel clampers. Claiming you just don’t have enough money, or trying to reason with them, just WON’T work. And unless you’re one stunning girl, it’s unlikely that fluttering your eyelids is going to do anything. However MY system WORKS. Click HERE to learn how! PPS. Over the past few months, my colleague and legal advisor Ian O’Grady has actually taken to parking in restricted zones just to test the system. He’s beaten the wheel clampers EVERY SINGLE TIME… just by printing out this secret letter. Click HERE to discover what he knows! PPPS. Remember, I GUARANTEE that you’ll get your clamping fine refunded. I’m even giving you a 10-year money back guarantee, backed by my publishers, the WCCL Network. You can’t lose on this one. Click HERE to buy the system!